Home › Gallery › Interactive (image) › SFMOMA	› What's Your Opinion? Restraint may be the theme of artist Matthew Barney's "Drawing Restraint" exhibit at the San Francisco Museum of Modern Art, but it certainly doesn't apply to the wide range of reactions it inspires. Seeking to tap into this two-way dialogue between art and observer, AKQA created an integrated campaign with print, mobile and web elements, all designed to elicit the honest opinions of those who've seen the exhibit—and to spread these opinions to those who have yet to see it. 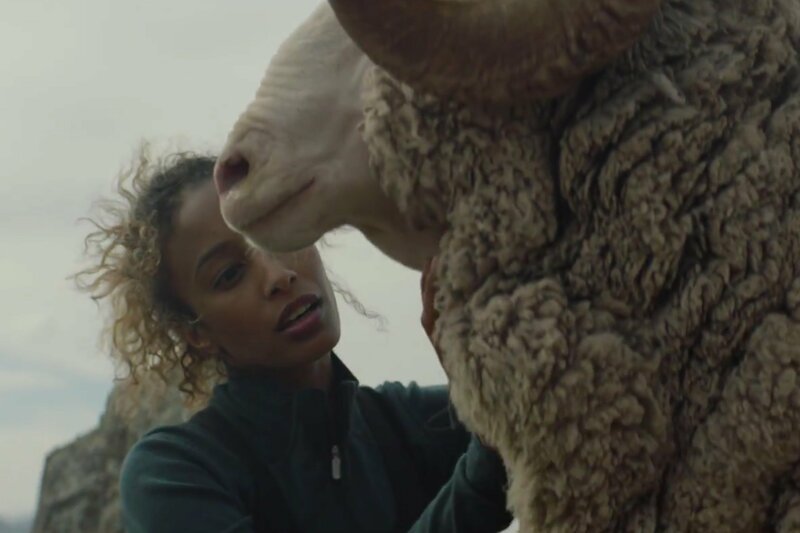 "Upon starting this campaign, we looked at Matthew Barney's previous work and came to a realization that people would have a very strong reaction to his work—some might love it, others could hate it," says global creative director Rei Inamoto. "Thus, having a place—in our case, a virtual place—where people can express their opinions and have a dialogue became an integral part in promoting this exhibit."